Your company onboarding practices directly correlates to employee retention and staff satisfaction, making the job that they do easier day-to-day. The first days at a job site can be challenging for a new hire; help make it a positive experience with some onboarding protocols that will integrate these individuals seamlessly into your company. Bringing new talent in without planned and precise onboarding tactics can cause potential problems. Did you know that within the first 45 days of employment, there is nearly 20% staff turnover? Offering onboarding protocols and processes can lead to an over 50% increase in productivity among new staff. The learning curve presented by new staff without proper onboarding practices risk your company to potentially lose around two-and-a-half percent of your overall revenues. An effective and clear onboarding for new hires results in around 18% greater success toward reaching independent goals. Goals and successes may be most-easily measured by automated reporting conversion and BI tool migration within your onboarding program. 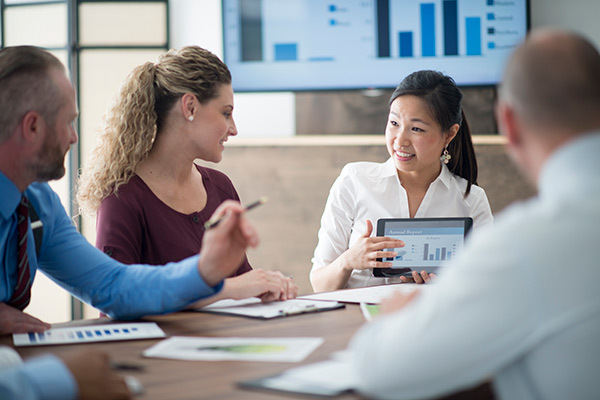 Oracle Fusion HCM offers a clear and concise guide to onboarding procedures that can improve employee retention, increase staff satisfaction, and potentially enhance your bottom-line. Comfort is key when attempting to integrate new staff into your current company culture and work environment. Bringing recent hires in to meet the other members of the team and gain some familiarity may help ease pre-employment anxiety and transition them into the setting smoothly. Implement this introduction as a part of your onboarding practices. Take care to offer an efficient and effective onboarding protocol to demonstrate that you care about the team, including your new hire, and show that you both believe in and are rooting for their success in the position. Keep in mind that new hires are watching and trying to determine if the job is a good fit; help ease their mind and reinforce that they are where they can shine. Make sure that your team feels like they are part of something bigger; this helps foster solidarity among your staff. Make sure that your workplace exudes this welcoming vibe, regardless of the position they have or how long they have been in your employ. Use your onboarding practices and technology involved with Oracle Fusion HCM for not just new hires, but for current staff that are transitioning into new roles or being moved to different location. Consider implementing your onboarding practices for new hires during the critical period between being hired and the first day of work. Studies show that effective and planned onboarding processes will pay for themselves over time in employee retention. Strengthen your onboarding protocol with DataTerrain, a software company offering business intelligence reporting conversion and migration services. Begin building your dream-team by contacting us online here and begin improving employee success today.